1 mL Oral Syringes are used for providing liquid medicine to medical patients for more accurate dosages than a medicine spoon can achieve. 1 mL Oral Syringes accurately measure small doses of liquid medicine to be administered to patients orally. Manufactured by Becton Dickenson, these Oral Syringes are available in CLEAR and AMBER barrels. 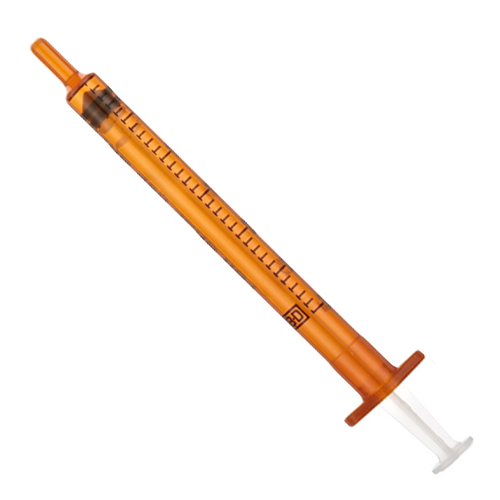 BD Oral Syringes feature easy-to-read scale markings in both milliliters and teaspoon scale for greater accuracy and to reduce the risk of incorrect doses of medication or administrative errors. Both syringe The CLEAR Syringe and AMBER Syringe come with a tip cap. 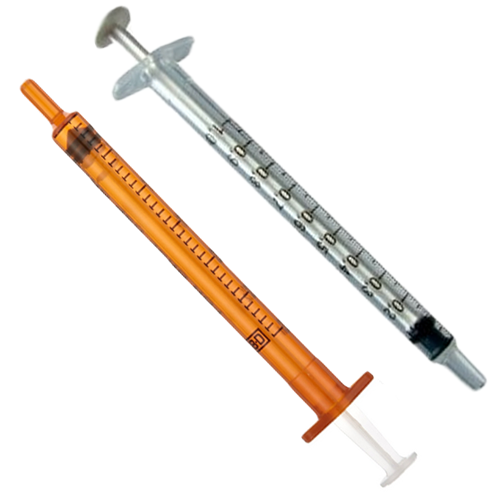 BD 1 mL Oral Syringe Product ID Numbers: 305207 and 305217. 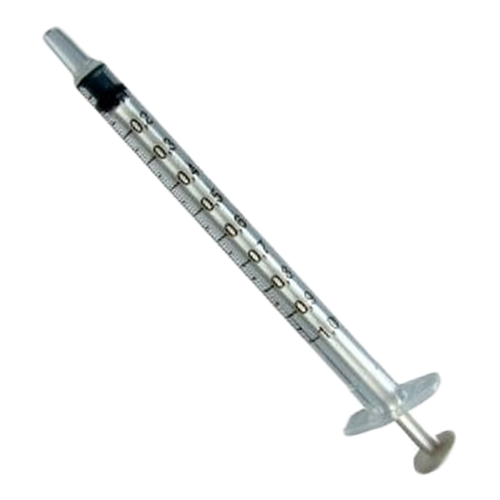 Syringe Capacity: 1 mL or 10 cc. Syringe Capacity Graduations: 0.2 mL increments. I do not see a picture of the caps that go with the 1 ml oral syringes. Can you direct me to the page which has this. The photos on our site are provided by the manufacturer and are not changed unless we are notified. For clarification on what comes with the syringes, it's best to contact the manufacturer of the product. I was a little disappointed that the syringes were not in a sealed bag but just loose in a ziplock bag. Yes, it does say non-sterile, but you would still think it should be in a factory sealed package. I am still deciding whether to send back. We looked everywhere for small ML syringes for our little Champ. he weighs 4lbs and takes heart medication at .25 ML. Perfect for his small mouth and dosage. Thanks Vitality Medical! Perfect for our needs. they did come with caps although the caps were in a separate bag inside the bag of syringes. we could not be more pleased and will be ordering them again. Works good but did not come with the caps. These oral syringes work perfectly fine as they come the issue I had was that I bought them thinking they came with a cap. So if you buy it knowing there is no caps you should be perfectly happy.